Sun exposure is believed to increase the number of moles, and the risk of skin cancer. So, protect yourself from the sun by wearing protective clothing, using high-factor sunscreens and if possible staying in the shade when the sun is at its strongest, between 11am and 2pm. 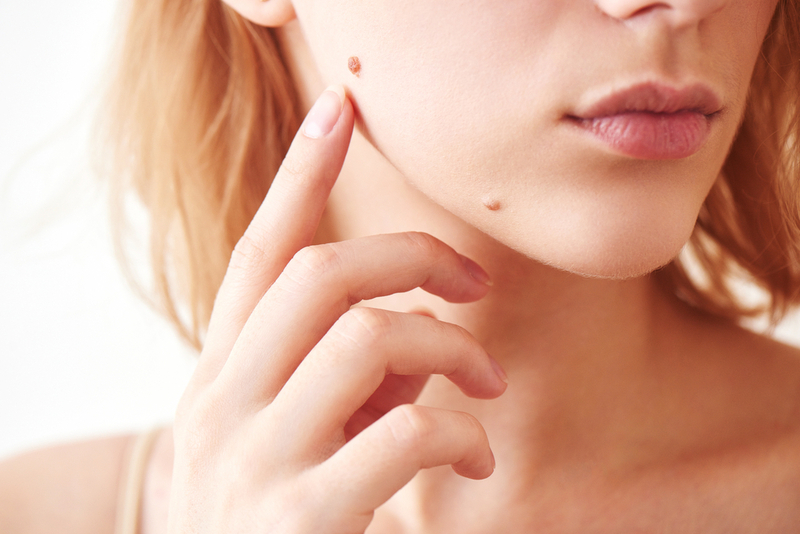 You should also check your skin every few months to find out if any new moles have developed or in case an existing mole appears to have changed. Things to watch out for are moles with different shades of color within them, moles with an uneven edge – moles are usually circular or oval with a smooth border; bleeding, itching, red or inflamed moles; moles that increase in size as most moles are only a few millimeters across. You should always consult a dermatologist if you find a new mole or if there are any changes to existing moles as these changes could be signs of a skin cancer called melanoma that can grow in or near a mole. Dependent on circumstances, melanomas are usually treated with surgery and this is normally very effective if diagnosis and treatment are both made early.